Published: November 28th, 2018 by admin. Filed in Outdoor Umbrellas and tagged deck umbrellas, outdoor umbrellas. If you own an outdoor patio or deck, no doubt you love spending time on it. However, to truly enjoy your experience outdoors, you need to provide your patio or deck with a flexible and affordable shade solution. For this, nothing works better than a deck umbrella. 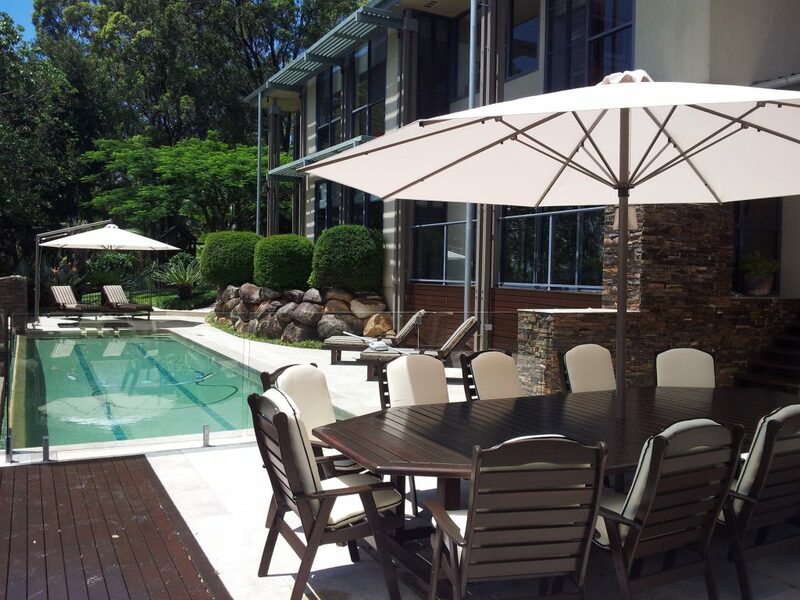 As the owner of Ashadya Shade Sails & Blinds, a company that offers outdoor umbrellas in Sydney, today I will showcase 6 of our outdoor umbrellas which are ideal for use as a deck umbrella. Choose any of these, and you’re sure to enhance your deck experience massively! Ashadya’s HE Café umbrellas are an excellent choice for your deck. They feature a fixed central frame and can be operated with a pulley system. 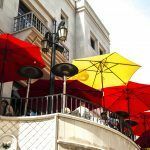 Our HE Café umbrellas are manufactured using a powder coated aluminium frame and top-grade shade fabrics and offer up to 99% UVR protection. They are available in a range of sizes, shapes and colour options for you to choose. As an alternative to our HE Café umbrellas, our SU2 market & café umbrellas are also a great deck umbrella. 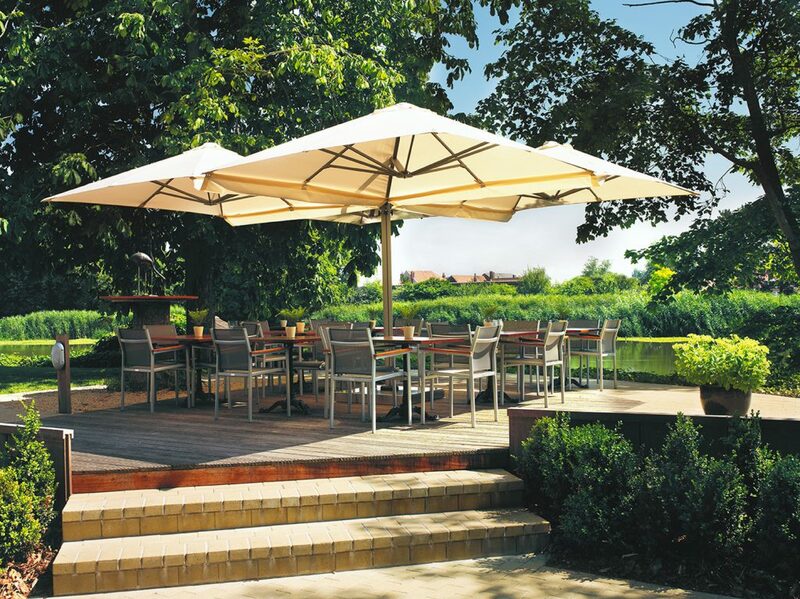 Like our HE Café umbrellas, they feature a central frame and a pulley system for operation. 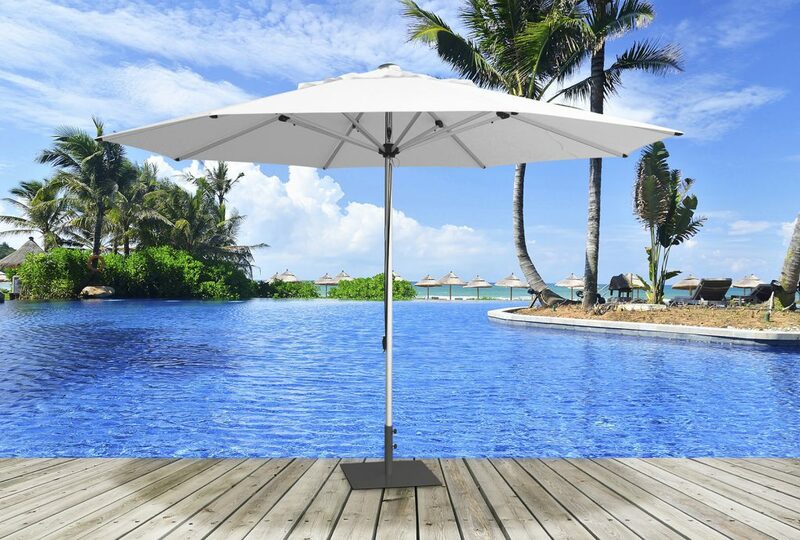 We manufacture our SU2 market & café umbrellas using commercial grade materials to the highest quality standards. As with all our outdoor umbrellas, our SU2 market & café umbrellas come in a range of shapes, sizes, and fabric colour options. 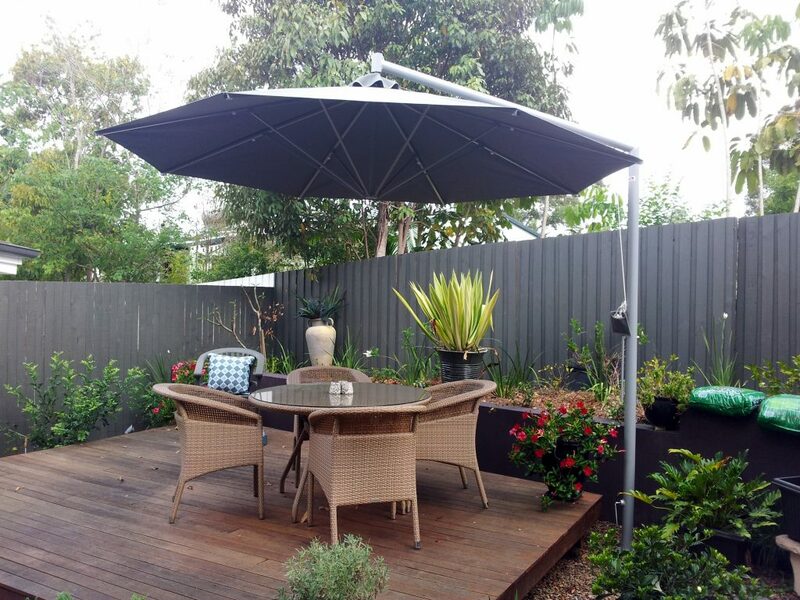 Our SP side post rotating umbrellas are a great option to maximise the floor space in your deck. They are supported by a post located to the side of the umbrella canopy, and they are incredibly versatile. Our SP side post rotating umbrellas can be rotated 360° to change the angle of shade with the movement of the sun. We offer the SP side post rotating umbrellas in two shapes and different size options. For a deck umbrella that offers you maximum convenience, choose our SU4 rotating & tilting cantilever umbrellas. While similar to our SP side post rotating umbrellas, SU4 umbrellas are additionally equipped with a tilting mechanism. This makes them incredibly versatile. Our SU4 umbrellas will enhance and complement your deck perfectly. If you own a large deck and you’re looking for a king-sized deck umbrella, you’ll find nothing better than our SU6 dual mast cantilever umbrellas. 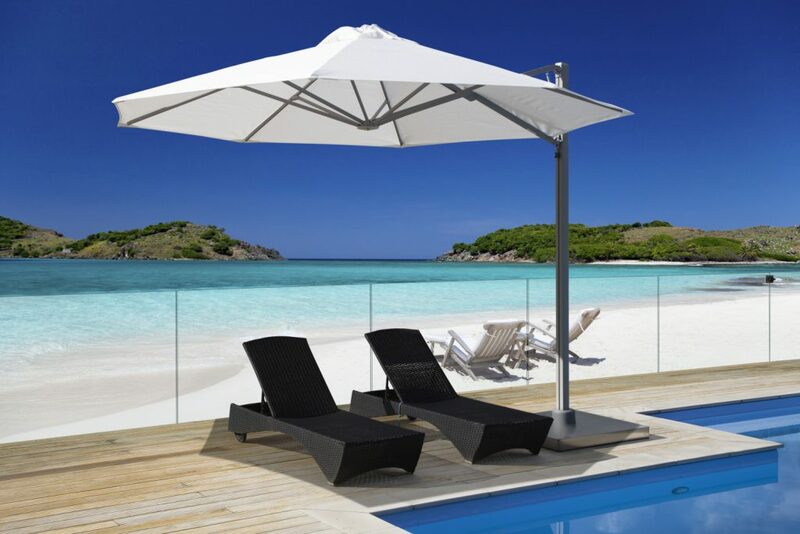 Featuring two canopies (or more if you choose), these cantilever umbrellas provide maximum shade coverage. We offer our SU6 umbrellas in a range of size and shape options and a choice of 12 designer colours for the fabric. Lastly, for a simple, no-fuss deck umbrella, our SU7 rotating cantilever umbrellas are an excellent choice. They offer the perfect blend of style and convenience, and can easily be operated with a sliding movement. 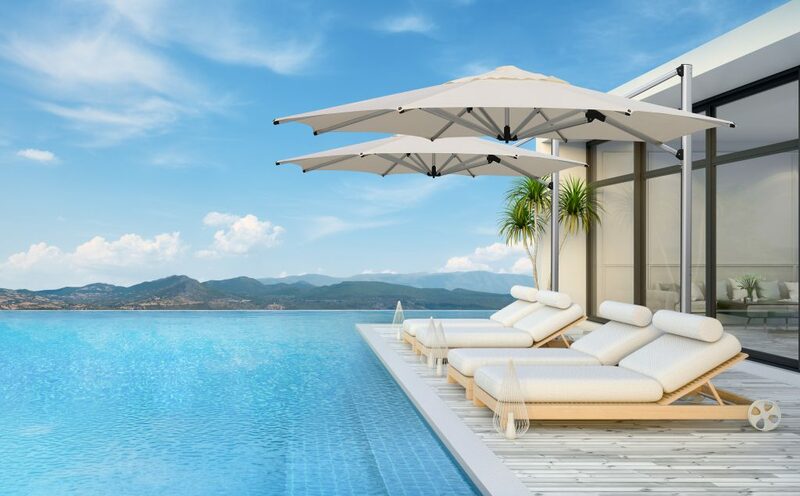 These cantilever umbrellas can be wall-mounted as well – to give you even more deck space, and they come in 3 shapes and 16 fabric colour options. When it comes to finding an affordable shade solution for your deck, nothing works better than a deck umbrella. Here, at Ashadya Shade Sails & Blinds, several of our outdoor umbrellas are ideal for use as a deck umbrella. 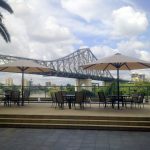 These include our café umbrellas, market & café umbrellas, side post rotating umbrellas, rotating & tilting cantilever umbrellas, dual mast cantilever umbrellas and rotating cantilever umbrellas. 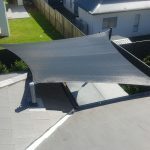 For high-quality deck umbrellas in Galston, Sydney and beyond, look no further than us at Ashadya Shade Sails & Blinds. 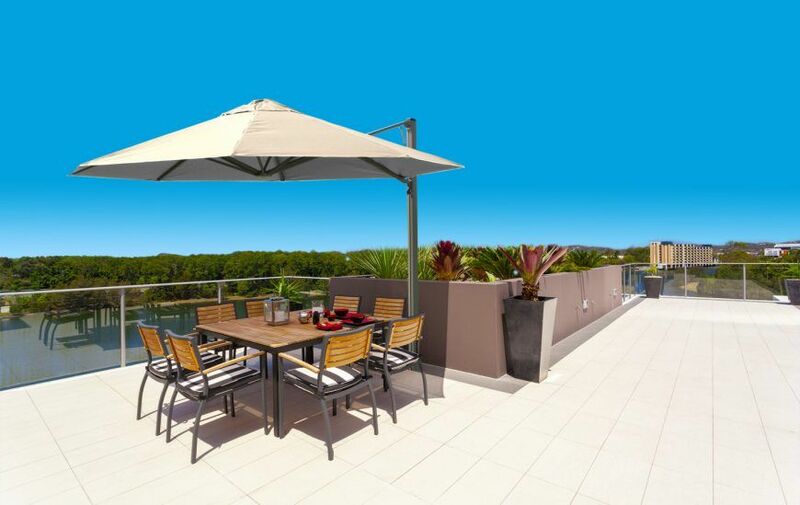 Call us at 1300 570 907 to discuss your outdoor umbrella requirements today!